When I first heard the song, I remember how it was a bit jarring having the singer refer to God as a woman. We know that God is a spirit; which means he doesn't have male or female chromosomes. In fact, there are many places in scripture that portray God as feminine or motherly. God says in Isaiah 66:13-14 “As one whom his mother comforts, so I will comfort you; and you will be comforted in Jerusalem." Hosea 11:3-4 paint a vivid picture of God as a mother cradling and feeding her children, and there are others as well. However, God has also in scripture consistently referred to himself exclusively through male pronouns. He explicitly uses the term father and it is clear that this is the proper way to refer to him. Christians don't write worship songs extolling Mother God. I offer this example because of a recent trend in worship songwriting I've noticed. Many popular worship songs aren't very careful with their lyrics and how they portray God. One such song that has grown in popularity is the Cory Asbury song “Reckless Love," published by Bethel Music. A lot of people have bristled at the song's hook. Should we caricature God's love as reckless? I know that other song have tied God's love to negative actions, such as equating it to the destructive power of a hurricane or one drowning in an ocean. I don't believe such word choices are an attempt to make God an evil force. I believe the writers are earnestly trying to describe a feeling of overwhelming awe about God's mercy and power in their lives, though they seem to lack the vocabulary to say it in that way. They cheat a bit and their analogies bring a picture of breaking apart rather than building up. Still, since those are analogies I don't protest too much. However, when a worship song teaches that one the attributes of God is recklessness, then the issue is more important and we need to think through what this may mean. 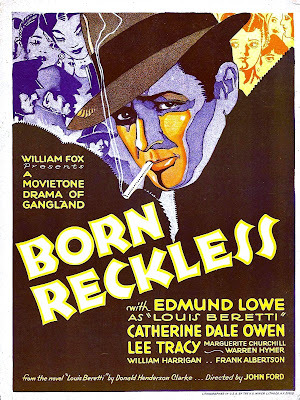 To be reckless, as it has been defined, is to be "utterly unconcerned about the consequences of some action; without caution, careless." Can God be in any way unconcerned with consequences? Can a holy God be without caution? Can a God who has defined himself as the very essence of love be careless? To use the term brings the very defining features of how God has revealed himself to be under question. And given that the worship we sing is a form of teaching in the church, the words we choose in our worship songs fall under the same admonition of James 3:1 and require a greater strictness. What about the Positive Aspects of Recklessness? "Giving, utterly unconcerned about the consequences of some action; without caution"
"Serving, utterly unconcerned about the consequences of some action; without caution"
"Loving, utterly unconcerned about the consequences of some action; without caution"
When taking the term "Reckless Love" and looking at it in the context of the rest of the lyrics, it's clearly used in the positive sense of the word. I still don't think this works, and here's why. There is a type of giving that is utterly unconcerned about consequences, such as when someone gives an addict a $100 bill or when parents give their children whatever they ask. That is reckless giving because the consequences of those gifts will actually harm the recipient. In giving, Paul teaches us to be intentional (2 Corinthians 9:6-8) and also that the one who doesn't work shouldn't simply be given food (2 Thess. 3:10). So, it isn't careless giving but thoughtful giving. Similarly, one can serve recklessly. It may be as benign as finishing your child's homework or as dangerous as aiding them in covering a crime or enabling an abuser. So to describe God's love as reckless reduces God to at best fallible and at worst dependent. Again, I don't believe the writers or the people who sing the song are intending to this, but one cannot reconcile recklessness with a perfect God. Words are important. Christians recognize this when we discuss issues like homosexual unions. We recognize the word marriage has a specific meaning and that marriage at its core means the joining of a man and a woman. Christians balk at how popular culture seeks to redefine the term to fit their opinion. We would likewise balk at an attempt to label God as transgender simply because he has spoken off himself with motherly tendencies. The word reckless also has a real meaning. When we try to use that attribute of God, we are trying to pour a new meaning into the word, but it then affects the very idea of God to the listener. I don't think anyone would cheer a worship song that extols God the Mother. Yet, there is more scriptural support for that phrase than there is for God being reckless in any aspect. Let's face it, entitling a song “Reckless Love" is a little bit of clickbait. The writers want people to ponder the incongruity of the phrase. Yet, this is exactly where caution should be exercised more. Accuracy over intrigue, especially when discussing something as central as God's character, is what is called for. Even if I'm wrong, the very fact that so many are concerned about its message should at least caution us to avoid the song for fear that the danger of misrepresentation is a real one (1 Cor. 8:7-13) . I can sum up my argument in the following sentence: “Reckless Love" delivers reckless theology brought about by a reckless use of language. I don't think anyone can honestly read that sentence and believe that I've just given the song a compliment. And if that's true, perhaps it's time to rethink teaching that God's love is reckless to our congregations. One of the first popular apologetics books released was Josh McDowell's Evidence That Demands a Verdict in 1972. But much has changed in the forty-five years since that initial publishing. 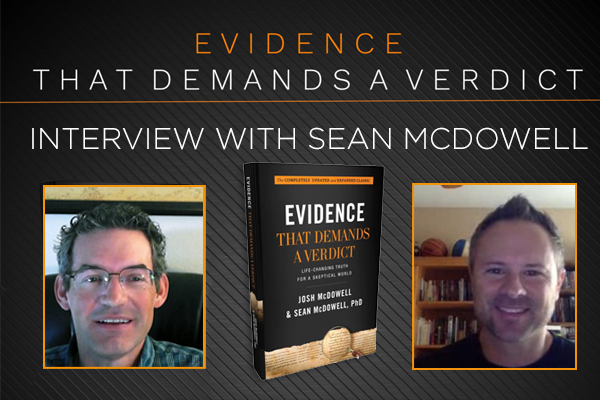 Now, Sean McDowell has partnered with his father to release a completely updated and revised Evidence for the 21st century. 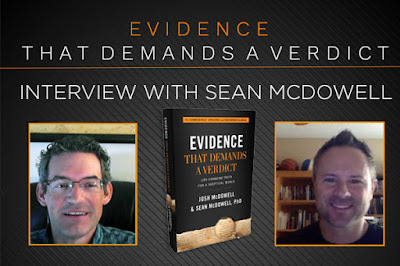 In this interview, Lenny and Sean discuss how the new content and contributions from dozens of the latest scholars make this a new staple in apologetics reference books for years to come. You may download the inteview ansd listen later by clicking here. It should be no surprise that The Last Jedi, the latest installment in the Star Wars franchise, is by all measures an instant success. I went to see the film and was optimistic based on the initial buzz and reviews. And while I didn't walk away hating the movie, I didn't walk away for the theater inspired or excited as I had after the A New Hope or The Empire Strikes Back. Then something funny happened. The more I thought about it, the more the film began to bother me. After a second viewing, I became more convinced that there are some serious worldview issues with The Last Jedi that sit at direct odds against the original trilogy. I want to go over three of them with you below. However, in order to do so, there will be spoilers so stop reading now if you haven't yet seen the film. Most people know that George Lucas was a friend and fan of Joseph Campbell and his teaching on universal myth. Campbell knew that the traditions and teachings passed from one generation to the next shape humanity. Lucas picked up on this in his original saga; Luke Skywalker typifies Campbell's mythic hero. Yet in The Last Jedi, the accumulated wisdom of experience over millennia doesn't matter. In fact, what's called for is a clean slate. 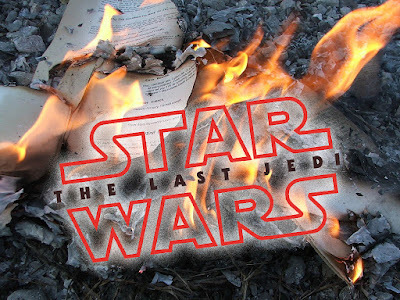 Writer and director Rian Johnson shows this time and again with his “burn down the canon” script. The most telling scene in the film is that Luke, The Last Jedi Master, has been hiding away on the very planet that contains the original texts laying the foundation for the Jedi faith. He is shown as their guardian, but he is contemplating destroying them so the Jedi faith would be no more. He worries that the faith can be abused and therefore be an origin for evil as well as for good. Luke thinks that by ridding the world of the Jedi, he will likewise rid the world of the Sith. Much has been made about how quickly Rey became proficient with the Force. She can match any of Snoke's Praetorian Guard, theoretically the best of the best that Snoke could muster. Heck, on the island she is able to duel against Luke Skywalker and come to a draw. We saw Luke continue to try and fail to lift even one rock via the Force during his training, yet Rey is able to remove a landslide immediately without pause. Yet, given the timeline of the events in the film and how Rey had to get back to the action, she couldn't have been gone more than a few months at most. Her training seemed to last only days. The concept of instant gratification is endemic in our culture. So many people today believe that happiness and comfort are the default position and any tragedy or hardship means someone else is holding you back. That isn't how the world works. The security you enjoyed growing up came at the expense of years of your parents' sacrifice and toil, working day by day for the eventual success they then enjoyed. There are no cheat-codes to life. The most obvious message The Last Jedi sends is the one that Johnson clearly sought to send, that is that men offer nothing uniquely beneficial to society. The main protagonist, Rey, is female. So are all the leadership of the Resistance. Kylo Ren and Snoke are bad guys and are men. The double-dealing code-breaker is a man. The arms dealer is a man. Even in the first few moments of the film I had a hard time believing that only women would be in the top levels of command. As the film progressed, its agenda became more overt and more satirical. It is the women in this film who time and again save the day while the men just mess everything up. Poe is a hotshot who recklessly expends a number of lives taking out a ship that makes no difference in the rest of the film. His later plans are shown to be useless as Laura Dern's Vice Admiral Holdo had a plan in the works all along. Even Finn, in his bravado charging the enemy, needs to be saved by Rose. The egregiousness of this fiction is distressing. Men have long been the punching bags of media. War is an ugly thing, but it is and has always been men who time and again put their lives on the line to protect us from the evils that threaten our way of life. Men would willingly die to save women and children because they understood the weaker needed protection by the stronger. But now our society says the unique thing that makes men men is itself dangerous. It needs to be checked and men need to behave more like women. When you take away a man's self-understanding as provider and protector, you rob him of his place in the world. Why then would men in this or future generations stand up and put their lives on the line when a real enemy threatens? January 1 marks the beginning of a new year and with it the promise of new opportunities to better ourselves. Of course the beginning of the New Year means many new laws begin to take effect. This has been true ever since Julius Caesar changed the calendars back in 45 B.C. when January 1 first marked the beginning of the year. Just three years later following Caesar's assassination, it was on January 1 that he was posthumously proclaimed divine by the Roman Senate. 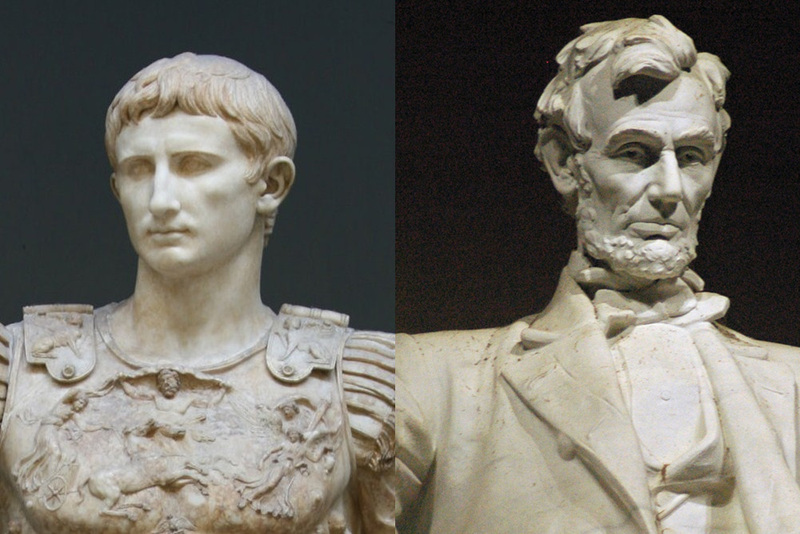 The act of declaring Caesar a god was a key moment in the history of Rome. The Romans, unlike the Greeks, Egyptians, and other eastern cultures didn't have a tradition that a ruler would be a descendant of the gods.2 They held Romans to be superior to all other groups, and like all other cultures of their day, believed the aristocracy was superior to the underclass. But they didn't see the Roman leadership as direct descendants of the Roman pantheon.3 It was Octavian's political maneuver that established the Roman Imperial Cult where the emperor would be worshiped as divine. Later Caesars actually began to believe their own propaganda, and grew even bolder in their proclamation of being from the gods. January 1 marks the anniversary of another watershed law, this one more recent in history. On January 1, 1863 President Abraham Lincoln gave an executive order affecting more than three million people in the Civil War-torn United States south. The Emancipation Proclamation as it is known officially declared "all persons held as slaves within said designated States, and parts of States, are, and henceforward shall be free; and that the Executive government of the United States, including the military and naval authorities thereof, will recognize and maintain the freedom of said persons." While the Civil War wouldn't be settled for another two years, Lincoln's executive order legally marked the end of slavery in the United States of America. The contrast between these two acts is interesting. Both of these laws affected the history of civilization. One sought to elevate a man above other men. The other sought to recognize the equality of all men. While both gave their proponents certain political advantages, one ultimately resulted in more human suffering and enslavement of other cultures while the other brought freedom and dignity to a previously repressed group. What changed? Why is there such a difference in the basic view of human beings? The unifying force between these two is Jesus. The true God-man came into the world of one who claimed himself to be divine and leveraged it to spread His message that all men are equally valuable. Instead of demanding worship from others, He humbled Himself to the point of death on the cross so that all men of every race would be set free from the slavery of sin and death. As we jump into a new year, you will certainly see many new laws take effect. Some of them are selfish in nature, seeking to bolster our personal pleasures without regard for the wider effects on society. Others are more magnanimous. But don't forget about Christmas just yet. Without the Emmanuel, without the God with Us, it might be that New Year's would only mark the beginning of another period of forced worship to one more of the various despots human nature has always produced. And that is nothing with celebrating. 1. Henry Fairfield Burton. "The Worship of the Roman Emperors." The Biblical World, vol. 40, no. 2, 1912, pp. 80–91., doi:10.1086/474622. A couple of years ago, the Internet blew up over a huge debate—one that captured the attention of popular culture and caused fierce disagreements between friends and family members. I am, of course, talking about the infamous "What color is the dress?" meme portrayed in the accompanying image. 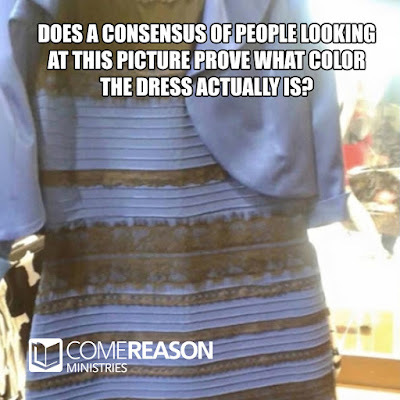 One can perceive the dress colors to be either blue and black or white and gold, and it seems for most people once you see the colors a certain way, you simply can't see them from the other perspective. Now, imagine you want to buy a gift for your mother's birthday and your father had sent you that same picture with the recommendation that since he's buying her a dress, you should purchase the accessories. Would your purchases make sense? We don't know. It all depends on what you see and whether your perception matches reality. Even if the one buying the accessories had the most exquisite fashion sense and was gifted in picking out the most tasteful and appropriate accoutrements, it matters what their perception of the dress colors were. I offer the thought experiment because it helps us to better understand how paradigms influence people. We all make choices based on a specific way of seeing things, and this is true in the fields of science as much as it is in any other discipline. In fact, the terms "paradigm" and "paradigm shift" were coined by Thomas Kuhn in his earthshaking book The Structure of Scientific Revolutions. Kuhn there demonstrates how scientific knowledge hasn't been acquired in a slow, steady, progressive line. That's a myth. joins men who learned the bases of their field from the same concrete models, his subsequent practice will seldom evoke overt disagreement over fundamentals. Men whose research is based on shared paradigms are committed to the same rules and standards for scientific practice. That commitment and the apparent consensus it produces are prerequisites for normal science, i.e., for the genesis and continuation of a particular research tradition.1(emphasis added). What this means is that scientists within a particular field of study all start with some basic assumptions and then they rely upon those assumptions to solve problems on details within that model. So, if one were to start with the paradigm that the dress is white and gold, then the answer to the problem of what kind of accessories would complement the dress will come out differently than if one were to hold the paradigm that the dress is blue and black. If you are basing your accessory choices on the paradigm of a white and gold dress, and you find that the majority of those who you learn from and those you work with have also accepted this paradigm, you no longer ask about the color of the dress or whether whiter is a better color for a handbag than back. When someone comes into your fold and suggests black for a handbag, your reaction would be one of incredulity. Certainly any fool can see that black is the wrong color choice! You might even make fun of them and dismiss them as not doing good science. But what they've questioned is the paradigm you have assumed, not the reasoning to the color if the paradigm were true. Here's the thing, though. These paradigms themselves are frequently caused by factors beyond dispassionate science. Kuhn himself discovered this when investigating the Ptolemaic and Copernican ideas of the solar system. Ptolemy's paradigm was first formed by Aristotle, who held to a couple of very Greek ideas, one of which was that some bodies are naturally inclined to move in a circular pattern. In other words, planets by their nature would move circularly because that's what they do. Aristotle's assumption set the paradigm that worked for many centuries and allowed the scientists for those days to come up with accurate predictions. Aristotle's assumption on the nature of bodies moving in a circular pattern was based on Greek philosophy. Thus it was a philosophical commitment that shaped the science of planetary orbits and of our understanding the nature of our solar system for centuries. It was only when instruments became more sophisticated that flaw could be seen in the model. These flaws grew to the point of crisis until those within the community had to abandon their paradigm and adopt a new one. This is what Kuhn labels a paradigm shift. Before a paradigm shift occurs, there is a scientific consensus about whatever point one is discussing. But even though a consensus exists, that doesn't mean those who oppose the consensus are wrong. They may in fact be right, but they are simply offering a different paradigm. When you read about the contentious scientific issues of our day like the origin of life, man-caused climate change, and neo-Darwinian evolution, it won't be long before someone makes the claim that given a scientific consensus exists on topic X, anyone who holds a contrary view is anti-science. That's simply wrong. It may be that those who hold to the contrary position see the flaws and wish to question the paradigm itself. The bigger question thinking people need to ask is "what are the assumptions implicit in this position and have they been tested?" The question of the color of the dress can be answered, if one enlarges the frame to see more of the picture. Doing this isn't anti-science but what Kun calls extraordinary science. So let's not point to the idea of a scientific consensus as the final card in a debate. The consensus may be the very thing that needs to be questioned. 1. Thomas Samuel Kuhn, The Structure of Scientific Revolutions, Second Edition., University of Chicago Press, 1970. 11. 2. Chloe Farand. 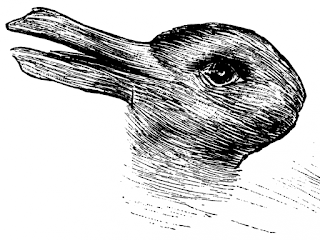 "Duck or Rabbit? The 100-Year-Old Optical Illusion That Could Tell You How Creative You Are." The Independent, Independent Digital News and Media, 14 Feb. 2016, www.independent.co.uk/news/science/duck-or-rabbit-the-100-year-old-optical-illusion-that-tells-you-how-creative-you-are-a6873106.html.